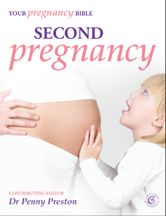 Conceiving and carrying a second baby is not always easier or even as easy as a first pregnancy. The ability to conceive a healthy child and have a vaginal delivery, the risk of suffering certain pregnancy-related conditions, maintaining one's physical wellbeing and that of an unborn baby while caring for an older child, and being able to manage a two-child family are only some of the challenges in a second pregnancy. This book addresses these issues with the latest medical information. It will help women have successful second pregnancies and a harmonious family life.